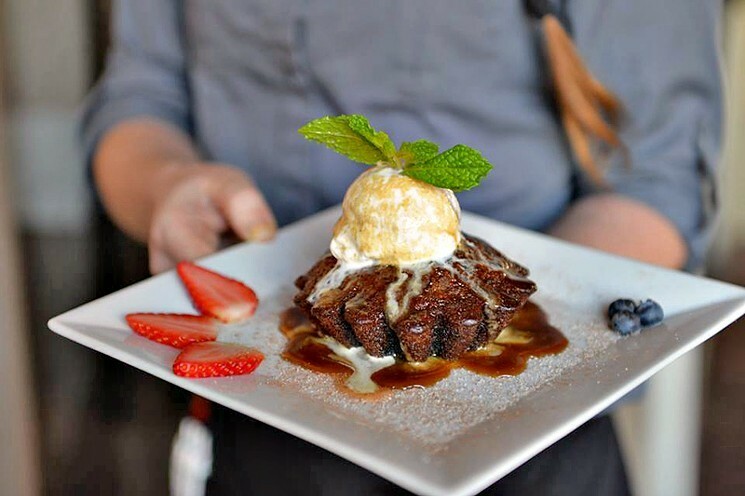 Peli Peli's signature dessert is the decadent sticky toffee pudding served warm and topped with a scoop of ice cream. Photo courtesy of Peli Peli. Update, 4/15/2019, 9:21 a.m.: This promotion is now over. Peli Peli is celebrating 10 years in business with free dessert. The promotion begins Monday, April 8 and runs through Sunday, April 14. All guests have to do is wish their server a Happy Birthday. During the past 10 years Peli Peli has expanded to three fine dining restaurants and two fast casual concepts called Peli Peli Kitchen. This June, a fourth Peli Peli will open in The Woodlands. 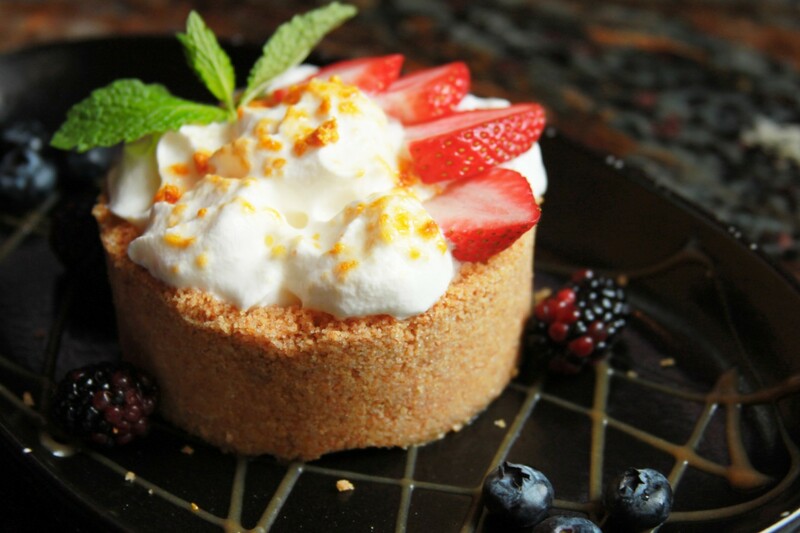 The melktart is Peli Peli’s spin on the classic South African dessert. Photo courtesy of Peli Peli. Diners wishing to participate in the birthday celebrations can choose from sticky toffee pudding, melktart or chocolate mousse cake. Offer is limited to one free dessert per table and available only at the fine dining locations (Galleria at 5085 Westheimer, Cinco Ranch at 23501 Cinco Ranch and Vintage Park at 110 Vintage Park Blvd). atmosphere. A toast to you…..to many more years of making beautiful memories.